Lil Durk shares "He Say She Say"
Producer Dree The Drummer will be releasing his mixtape Underrated 2 later today, and a few hours ahead of time, he drops off a mixtape track that features Lil Durk. 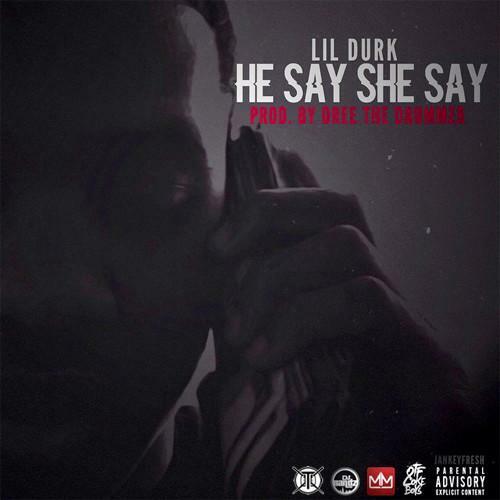 "He Say She Say" is a brief, poppy track that has Durk going in over Dree's surprisingly Zaytoven-esque beat. "He Say She Say" is the latest in a string of Durk tracks that have dropped since the release of Signed To The Streets 2 this summer that aren't tied to a bigger project of his. All of these have been good one-offs, and this latest one falls in line. Still waiting to hear something from Durk's debut album though.